The National Chairman of the All Progressives Congress (APC), Adams Oshiomhole says President Muhammadu Buhari’s administration is committed to the implementation of an improved National Minimum Wage for Nigerian workers. 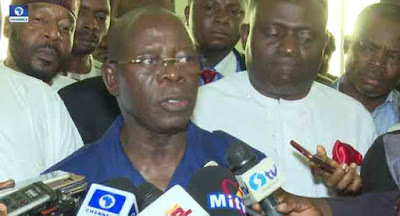 Oshiomhole gave this assurance to a delegation of the Trade Union Congress (TUC) led by its President, Bobboi Bala Kaigama and a delegation of Nigerian Labour Congress (NLC) led by the President Ayuba Wabba which paid a solidarity visit to the Party’s National Secretariat in Abuja. “The trade union movement and the working class represent part of the constituency that President Buhari believes in. 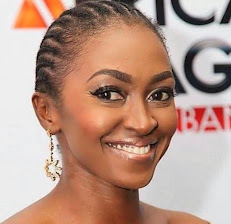 If you hear any voice within the APC family talking in a way as to suggest that President Buhari’s government will superintend over the abolition of the National Minimum Wage, that will be the individual’s wishful thinking. “President Muhammadu Buhari will not dismantle any of the gains that the working class has achieved over the years. The APC National Chairman expressed his resolve to use his position to influence government policies in a way that will benefit the Nigerian worker. Oshiomhole also said President Buhari remained committed to worker’s welfare, the fight against corruption and the unity of the country, despite resistance from a section of the political elite. “My understanding of the Nigerian condition is deepened by the fact that I had the opportunity as a factory worker and an industrial union leader and later as President of the Nigeria Labour Congress (NLC). I am very proud when people acknowledge that what qualifies me for the present position is the rich trade union background where I was able to manage a pan-Nigeria institution and mobilise the people for a good course without recourse to ethnic, religious and primordial sentiments. On his part, the TUC President, Bobboi Bala Kaigama assured the APC National Chairman of TUC’s support and cooperation, he described Oshiomhole as a bridge-builder. “We are from your primary constituency and as a movement when one of us is opportune to be elevated to a position of what we call national service, we need to really congratulate you, identify with you and to show you that the Labour movement is one, indivisible. “The movement is solidly behind you. We do know that you have been elected to your current position based on the fact that you have an organisational background and that organisational background is the trade union background where we organise and mobilise for the betterment of the nation. Kaigama congratulated Oshiomole on his new appointment noting that as an ambassador of the labour movement, he will continue to perform his role and duty.